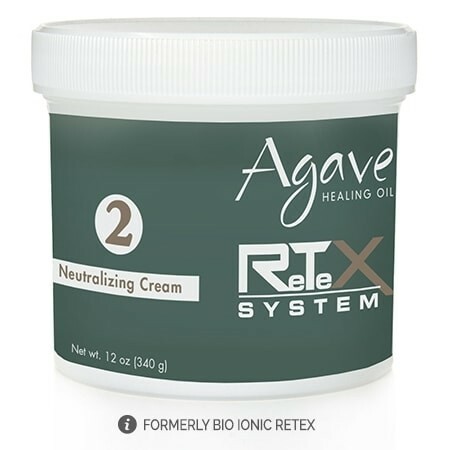 Bio Ionic Retex has been repackaged into Agave Retex. It's still the same formula that you know and love. OUT OF STOCKSorry, this item is sold out. 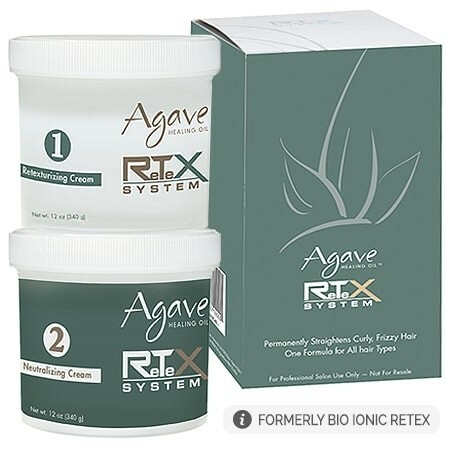 Agave Retex Hair Straightening System (Previously Bio Ionic Retex). Get it super-straight, create a little wave, or just eliminate the frizz! You choose with the original, industry-first thermal straightening system. The power of IonTransformation® is fully realized with Agave’s Retex system that permanently retexturizes the hair. Agave Retex empowers the stylist to control the level of texture –leaving as little or as much wave in the hair as desired. Agave Retex permanently transforms the hair from curly, frizzy, and unruly in to looking super-shiny and sleek, feeling smooth, hydrated and conditioned. 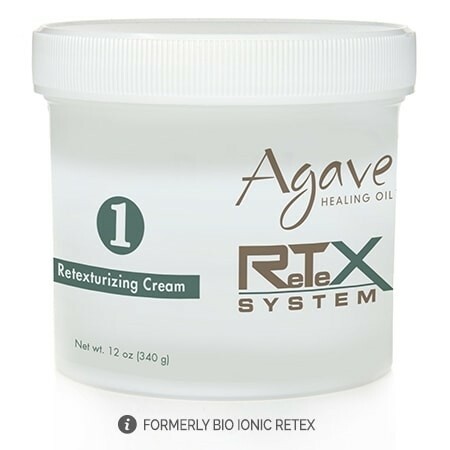 Agave Retex is truly a revolutionary tool to permanently improve the manageability of hair. Due to the amazing properties of natural Negative Ions, Agave’s straightening system arguably leaves the hair in better condition than it was prior to the service! It is free of sodium hydroxide and guanidine hydroxide. NOTE: For Professional Use Only. Complete application requires other products and equipment. Bio Ionic iBrush - Small round iB-432-1 2"
Bio Ionic iBrush - Extra Large iB-432-5 3.5"